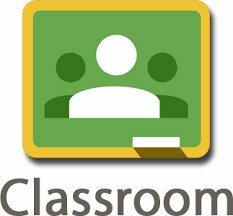 Headland Middle School and the 9th Grade Academy are now using Google Classroom for some of our classes. All students that returned their Google forms at the beginning of the school year with parent permission have been assigned a google account. 6th-8th grade students have all recieved their usernames and passwords through library classes and are using Google classroom in the library and various other classes. 9th grade students are using Google classroom through Ms. Pope's classes and Mrs. K. Womack's classes and their usernames and passwords were passed out during those classes. Students should be able to tell parents their usernames and passwords if parents would like to monitor their Google classroom accounts or their school gmail accounts (which is part of their Google classroom account). If you have questions about how to use Google classroom to monitor your student's progress, how to login and monitor your student's school gmail account, or you need your student's Google username and password, please contact Mrs. Tew in the library.